At Comic-Con earlier today, showrunner Alan Ball aired a trailer of the upcoming episodes of season 5. Of course, it would not be a “True Blood”‘s trailer if it wasn’t bloody. Take a look below. True Blood” airs Sundays at 9 p.m. ET on HBO. 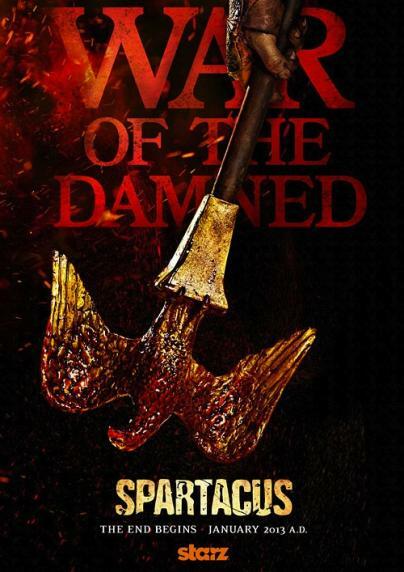 Related: ‘Spartacus’: War of the Damned Teaser. Kelly Hu has been cast to guest-star on CW’s freshman drama “Arrow.” Hu will portray China White, a villainess introduced as a South Pacific drug cartel leader. A teaser of the last season of “Spartacus” was released yesterday at Comic-Com. The series which stars Liam McIntyre, Cynthia Addai-Robinson and Manu Bennett will come to an end next year. “Let’s make the biggest, most epic season ever and go out on a high [note],” DeKnight, the creator of the series said at Comic-Con. By the look of the teaser it seems they will. Check out the teaser below. “Spartacus: War of the Damned,” will air in January 2013 on STARZ. Yesterday at Comic-Con, HBO announced 14 new cast additions to the third season of “Game of Thrones.” The upcoming season is expected to premiere March 31, 2013. The cast are introduced in the video below, take a look.